This is a three-day, extensive, hands-on workshop. 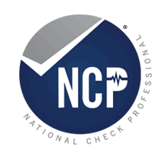 The dual-purpose program helps advance the expertise of the payments professional with intermediate Check knowledge and helps to prepare those taking the National Check Professional (NCP) Exam. The in-person format provides the benefit of other payments professionals and NCP candidates. The topics presented cover materials which will be included in the NCP exam and includes a review. session The program builds a close-knit network of peers who work together to study and test each other with the ultimate goal of passing the rigorous NCP exam. A "Plus" version of the package is also available. It includes all of the above materials plus CheckPro, a self-paced CD-based training software which can be used in test or game mode. Choose the sections to play, assess your progress with practice tests. Questions are pulled from a pool so that every game or test is different. Register in the Learning Center.